The cloud is making a huge impact on the way organisations are transforming their businesses to meet the evolving needs of their customers. Many businesses, in all industries, have to varying degrees when adopting the cloud to support and drive change and deliver benefits – be they in sales, customer services, marketing or other operational areas of their business. However the cloud is now being recognised, more and more so, as a strategic platform option that empowers organisations to become more agile, more innovative and deliver more differentiated services to the markets they serve. Amazon’s chief technology officer Dr Werner Vogels believes that cloud computing is the great corporate leveller. He claims that the cloud will allow small businesses to use information and data so well that they will be able to act as effectively as much larger corporations. So is the market there today? The cloud computing market will grow six fold from its current global volume of $40bn (£26bn) to more than $240bn (£153bn) in 2020, according to research consultancy Forrester. “The cloud is enabling continued innovation because entrepreneurs and big company alike are able to gain the resources they need to put their ideas to work,” says Vogels. “Enterprises and marketing departments know this and are gearing up to take advantage of resources previously unavailable without a trip to the procurement department.” The market is there and there are some great opportunities for many channel partners, but what are the factors we should be considering? Delivering services and application from the cloud is not new – after all, online backup for example has been available for years. However more and more applications and services are ‘coming online’ driven by the need to reduce costs, improve flexibility and the availability of faster, cheaper and increasingly more reliable connectivity solutions. The cloud can be delivered in many formats, but in the majority of cases applications will be remote from the customers, partners and users who need to access them. That makes wide area network (WAN) connectivity a critical part of the solution and companies need to consider the consequences of poor performance or even connectivity failure on their business, customers and users. Whether considering a new cloud deployment or the migration of current applications the emphasis tends to be on the cloud computing services themselves and the way they work. It’s usually focused on the computing infrastructure required; the way in which applications are configured and managed; the scalability and availability of services and, of course, at areas such as security, storage and regulatory compliance. 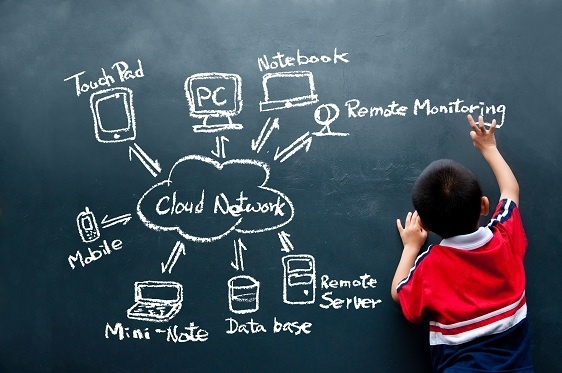 Far less attention is given to the connectivity required to support cloud-based applications which, as highlighted in a recent online survey from Computing magazine, is just as important when it comes to getting the cloud computing equation right. How to choose the right provider? Unfortunately connectivity services are not all the same making it important to look at more than mere headline bandwidth figures. Indeed simply buying bandwidth while relying on basic ISP broadband services may be a false economy. Instead companies should seek out business-grade services such as leased lines, IP VPN, Ethernet, Fibre Optic Broadband and other next generation network services to connect offices and mobile workers with the applications and data they need to do their work. Equally it is important to work with service providers who understand the needs of business and the demands they place on their connectivity services. Companies should choose partners prepared to do more than simply deliver vanilla services and hide behind a basic service level agreement. They should choose providers able to tailor services designed specifically to meet business needs with proactive management and direct access to expert, friendly and local support when required. For many, too, the ability to host cloud-based services and deliver connectivity will be important, as will the location of both the datacentres involved and the staff servicing them. In just a few short years, cloud computing has gone from an experimental concept only to be considered by those comfortable at the leading edge of technology, to an increasingly acceptable adjunct and possible alternative to the traditional in-house data centre. This rapid evolution is partly down to a growing understanding of what cloud computing is all about and an appreciation of the cost savings to be had from its use, but also to a rapid growth in services designed specifically to meet the needs of businesses across a wide range of industries. As a result cloud computing is rapidly moving up the IT agenda with companies large and small increasingly prepared to include public and private cloud platforms in their deliberations, both when looking to deploy new applications and upgrade existing systems. So are you ready to move to the cloud? At Pensar, we partner with Zen Internet, one of our key providers in helping us to deliver a successful range of cloud services. If you need further information do not hesitate to contact us; we will be more than happy to let you know the best cloud solution for your business. Want to know more about the importance of a robust backup and disaster recovery for your business? Download now “Redefining Small Business Data Protection” and learn the best solution to protect your data. This blog post was brought to you thanks to our partnership with Zen Internet, leaders in delivering the infrastructure businesses need to compete in a highly connected world.